The CE mark of Evone in 2017. Well over 300 patient cases in 10 countries with Evone and Tritube. Distributors across Europe ready to demonstrate and sell Evone). The completion of four randomized controlled trials and one multi center observational study. The publication/presentation of 2 in-vivo studies. This 3-year project was dedicated to accelerate the market launch and uptake of Evone and to prove its significant benefit for patient ventilation with FCV in the clinic. Our strong consortium with Unitron (Netherlands), the university hospital of Freiburg (Prof. Stefan Schumann, Germany) and Rigshospitalet Copenhagen (Dr. Michael Seltz-Kristensen, Denmark) successfully targeted these objectives. Two excellent studies by the group of Freiburg showed improved oxygenation and lung recruitment with an Evone prototype in both lung healthy pigs and a porcine ARDS model. The latter study was awarded ‘Best Abstract’ at Euroanaesthesia 2018. 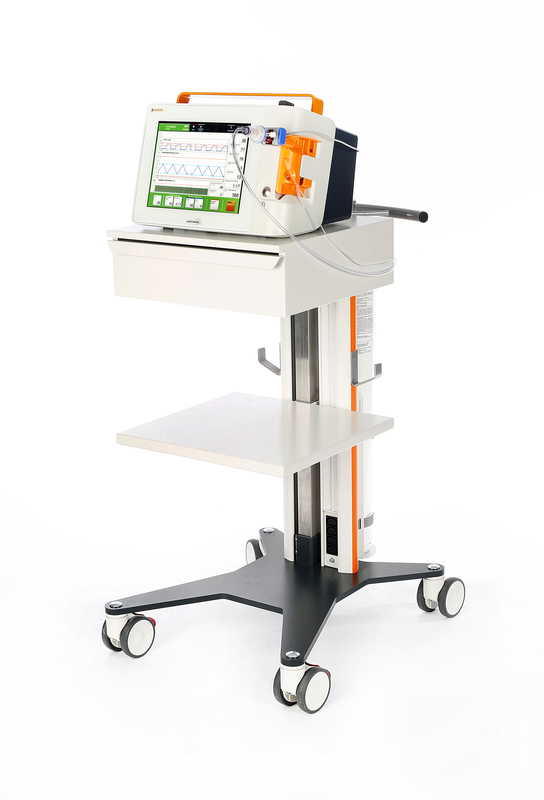 Subsequent clinical studies have been undertaken in Freiburg and Copenhagen to evaluate FCV ventilation with Evone and Tritube in specific patient populations. These studies have been finalized and manuscripts are being prepared. We thank the European Commission for their support (grant no. 691519). We thank our consortium partners for the pleasant and constructive collaboration and look forward to continue this in the future! © 2019 Ventinova, Eindhoven The Netherlands, all rights reserved. ® 2019 Ventinova, EVA, FCV, Evone, Tritube, Ventrain and Cricath are registered trademarks of Ventinova Medical.